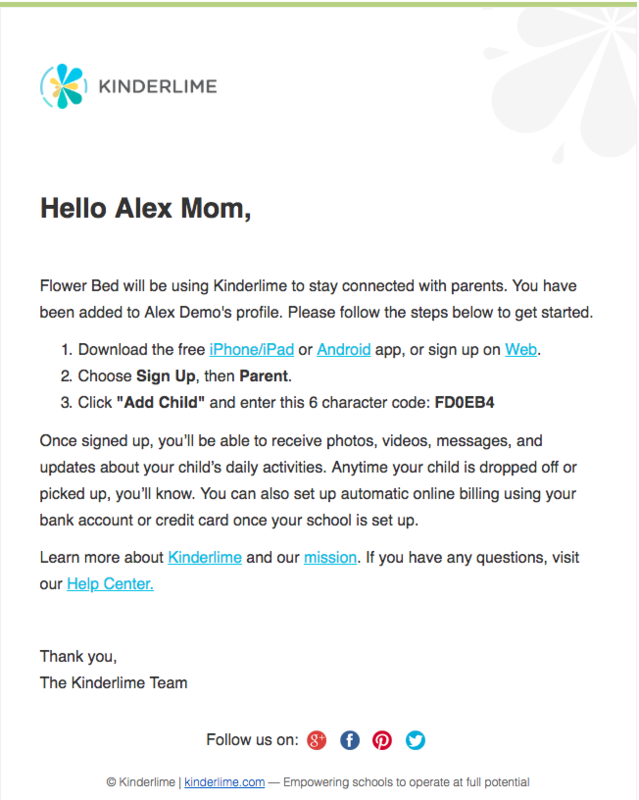 The first email that parents receive will have their registration code and directions for how to sign up. 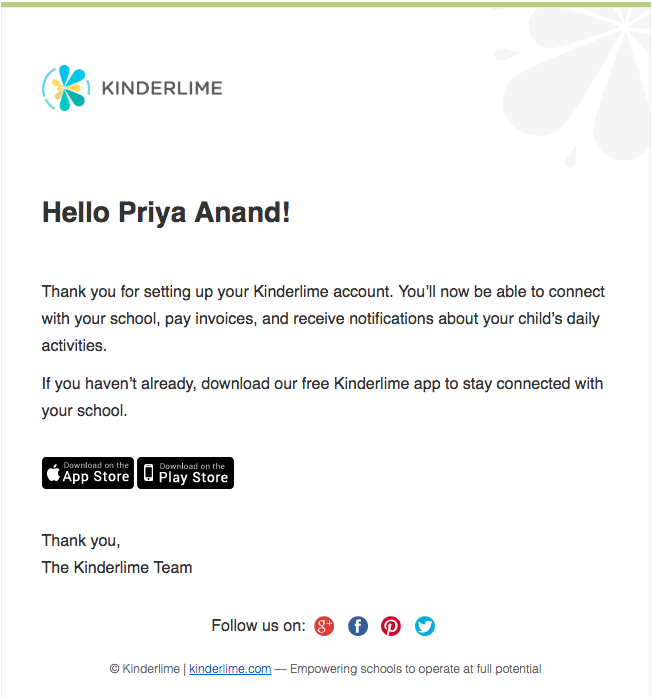 The second email that parents receive will say "Welcome to Kinderlime!" 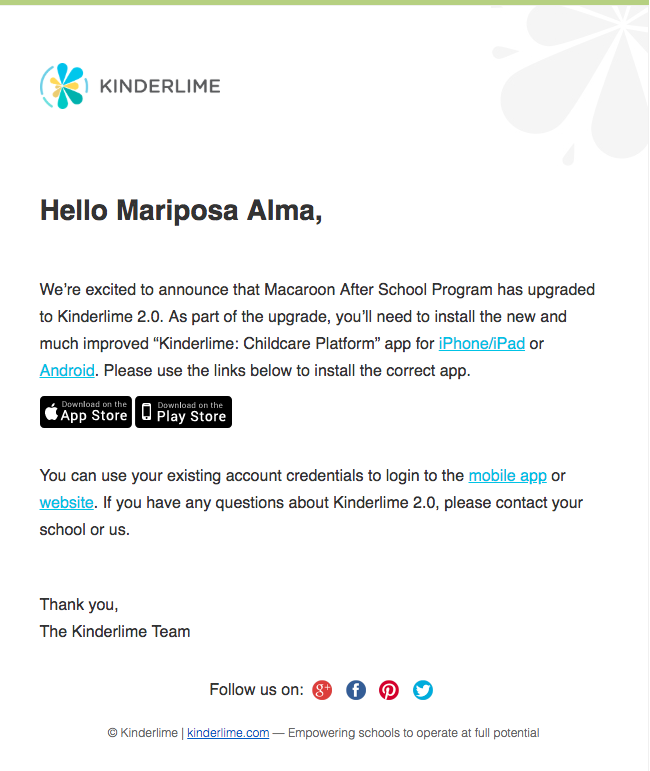 If you are a school that has upgraded from 1.0 to 2.0, your parents will receive this email with links to download the upgraded app.